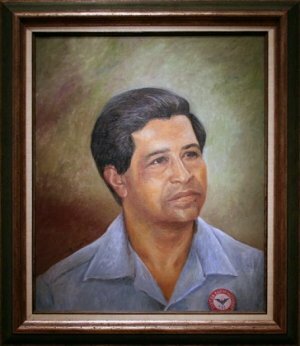 César Chávez (SAY sahr CHAH vess) was born into a Mexican American family. His grandfather had come to the United States in the 1880's. At that time people could live on a piece of land, work it for a period of time and become the owners of the land. Congress passed the Homestead Act in 1862. César's grandfather farmed a 100 acre ranch in Arizona. The couple had 14 children, so they had a lot of help on the ranch. One of their sons was Librado who married Juana Estrada, and César was their second child. He had five brothers and sisters. Life had been hard in Mexico at that time, just as it is today for many poor people. Wages are low and it is hard for them to make a living. Many migrate to the United States looking for a better life. Some bring their families and some men come alone, find a job, and send money back to their families in Mexico. They are hard workers, willing to do jobs others will not do; back-breaking jobs such as working in the fields and gathering crops. Some of the distasteful jobs are also dangerous such as processing chickens for the food market. César's parents and grandparents taught him to love God and to respect and help others. His father was politically active when they lived in Arizona, trying to bring about better conditions for the Mexican Americans. This example would have a great influence on César later in his own life. César stayed in school until eighth grade, then he dropped out to help make a living for the family. César's parents continued to farm in Arizona until they lost the land during the Great Depression. They packed up their things, traveled to California and began to move their family from place to place working hard in the fields to eke out* a living. Dunne in his book Delano tells how César's mother sold crochet* handwork by the roadside to get gas money for the car, and how he and his brother collected tinfoil from cigarette packages until they had an eighteen pound ball which they sold to buy some clothing. World War 2 started and César joined the Navy to serve his country. 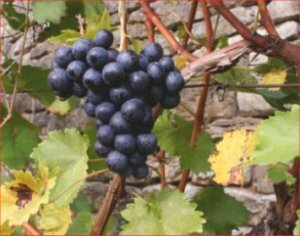 After the war was over he worked in a vineyard picking grapes. There he met Helen who was also working in the vineyards. Working conditions were poor. They had to work long hours. Sometimes water was not provided for them and there were no outhouses* in the fields for them to use. If housing was provided for the workers it was substandard, usually without running water or indoor bathrooms. César and Helen married and during the next ten years they had eight children. They raised their children just as they had been raised, to care about and work for the good of others. Helen always supported him in his efforts to bring about change for the workers. Mexican American children were discriminated against at school, and sometimes there was a language barrier for students if Spanish had been the only language spoken at home. When the workers tried to form unions to get better conditions, the landowners would do everything they could to defeat them because they didn't want to pay the cost to make conditions better for the workers. César's priest encouraged him to read about the life of Gandhi. He was so inspired by Gandhi's passive resistance and the changes it brought about, he determined to use the same methods to win rights for the farm workers. The workers would not fight, but they would strike* and form picket lines* in the fields. He met an ally,* Fred Ross, who hired Chávez as a full-time worker for the Community Service Organization (CSO) to try to improve conditions. He organized the workers. They sat down in the fields and refused to work. After a while he left the CSO in order to organize the field workers himself into a union. He formed the National Farm Workers Association in 1962. It was later called United Farm Workers. They had a flag with a black eagle on it which symbolized the dark situation of the farm worker. The Delano Grape Strike was the most important event in César Chávez's crusade. It involved not only Mexican Americans, but also workers of other races and nationalities. Taking his cue from Mahatma Gandhi and Martin Luther King Jr. he urged non-violent resistance. The strike lasted for five years from 1965 to 1970. In the end Chavez and the workers won the concessions* they were wanting. Chávez fasted regularly as he had learned from reading about Gandhi. In 1968 he went on a 25 day fast. Many people rallied around his cause when they saw the fervor he had for it. At the end of 25 days he was so weak he could not stand and called off the fast. In 1988 he went on a 36 day fast to protest the use of heavy pesticides used on the fields. The poisons were making the field workers sick. He continued to fight for the workers' causes until his death in 1993. He was sixty-six years old. More than 30,000 people attended his funeral. 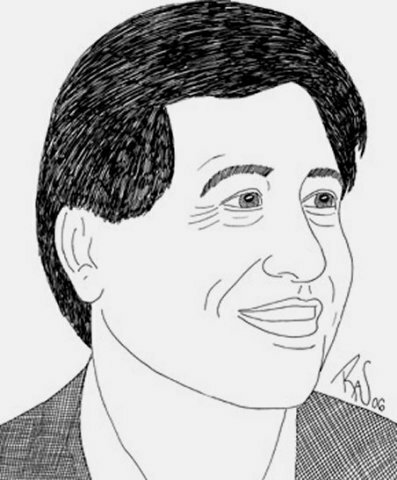 Many honors have been given to César Chávez. In the year 2000 California declared a state holiday to honor him, and in 2003 the U.S. Post Office issued a stamp with his picture on it honoring him. This biography by Patsy Stevens, a retired teacher, was written November 20, 2008.
to get with great difficulty as in "They eked out a living from the poor soil of the family's farm." High School ESL teacher from Colorado here. I don't usually comment on websites, but when I do it is because I am blown away. This is really comprehensive and extremely well done. Thank you for contributing this to education. Great website. Thanks. Helped alot with my biogrphy report. Wow! What a great website, it's full of great resources and information. I disagree with the previous comment. I don't think this website is long enough! LOVE LOVE LOVE all of the Cesar Chavez information. Great work! Thank you! It is a resource center. Use as little or as much as you wish. This page displayed 143,649 times.